and advice by calling 800-424-2273. • Available free of charge, 24 hours a day, 7 days a week, 365 days a year. • Nurses will answer medical questions, provide care advice and help you determine if you should see a doctor right away. • Help with medical conditions, such as diabetes or asthma. • Advice on the type of doctor that may be right for your medical condition. Who can use the Nurse Advice Line? 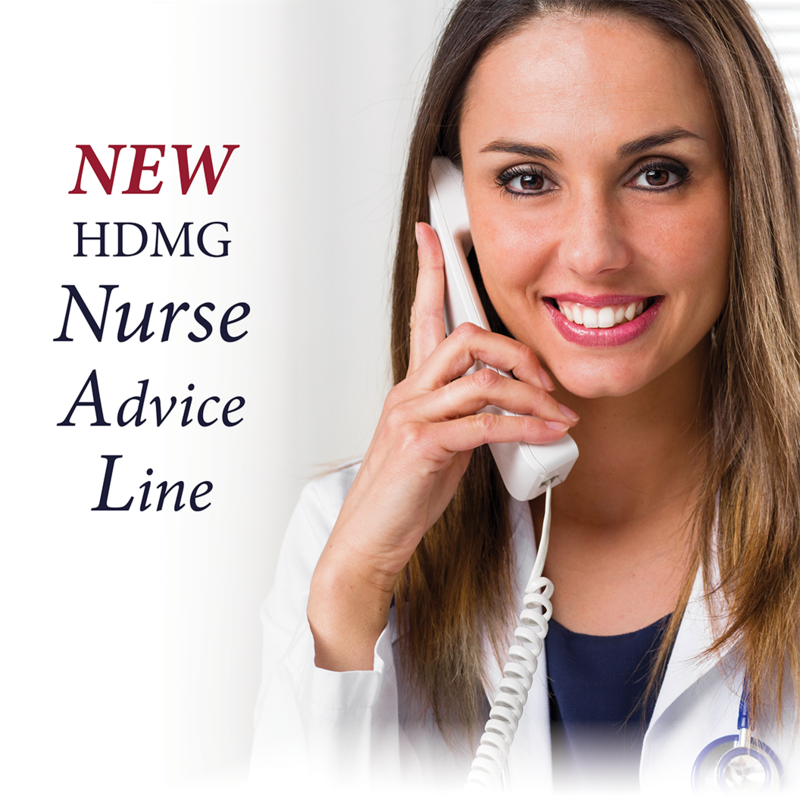 Any HDMG, HHC, Heritage California ACO member can call the Nurse Advice Line for help. Should I call the Nurse Advice Line if I need help deciding if I have an urgent medical situation? Yes. The nurse can help decide if you should be seen right away. However, if you are experiencing a medical emergency, call 911. If I need to be seen, where will the nurse direct me to go? Based on the information you provide, the nurse will advise you to go to HDMG’s Urgent Care Center (43839 N. 15th St W.), or the nearest emergency room. Should I use the Nurse Advice Line if I have a question about my condition or medications? Yes. The line is staffed by nurses who can answer your health questions. Will I get a live person when I call? Yes. 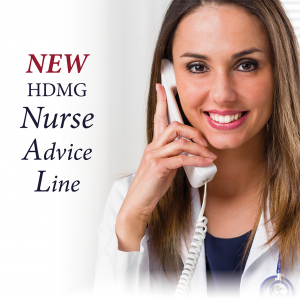 When you call the HDMG Nurse Advice Line you will always reach a live person who is ready to answer your medical questions. Calls are answered in the order they are received. You will never be asked to leave a voicemail. When I call, do I need to provide any information? Yes. You will be asked for a telephone number where you can be reached in the event that the call is disconnected. The nurses will also ask for your health plan ID number, please be prepared to provide it to the nurse when you call. You can call 7 days a week, 24 hours a day, 365 days a year. The call is always free!